Scudder Landing, 1 mile away! 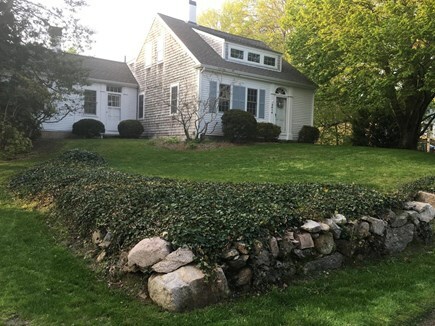 Historic Cape home located 1.5 miles to Barnstable Village and great local amenities, beaches, boating and convenience! Four bedrooms with window air conditioning units. First floor private master bedroom and master bath. 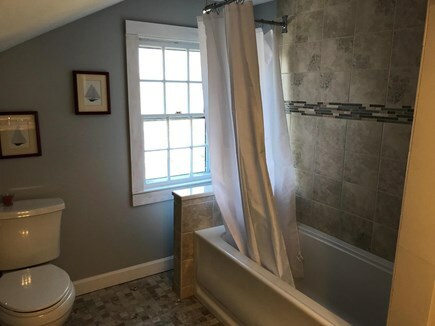 Upstairs has full bathroom and two bedrooms. 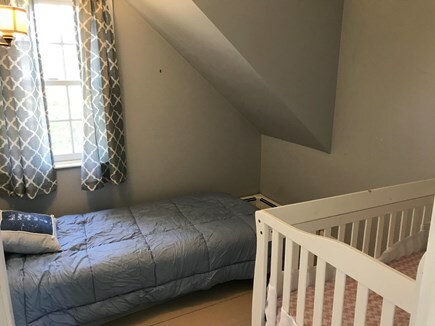 There is a small additional bedroom on the first floor with a twin bed and crib. Spread out living spaces with multiple living rooms and private bedrooms for family and friends to all gather. 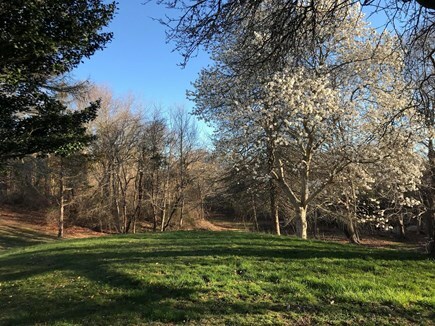 Large acre lot with private back yard abutting conservation land. 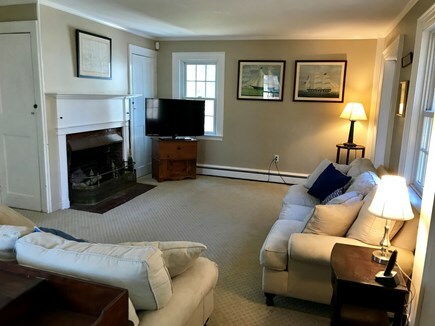 Convenient to Sandy Neck beaches, Barnstable Harbor, Barnstable Village and Hyannis. Hiking trails, playground, basketball and tennis located within walking distance across the street. Additional pricing info: Discount for multiple weeks, $150 cleaning fee, 14.45% short rental tax, State and local taxes of 14.45% will apply. 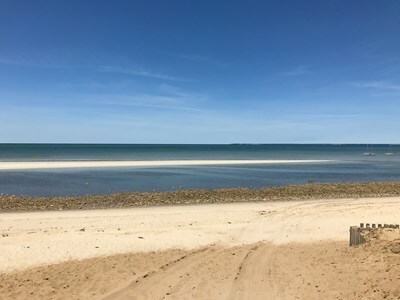 We are year round Cape Cod residents who love sharing this perfect little sandbar with guests. Garran is a Brewster native who met Christie when she summered here from Connecticut. We got married here, have two children, one Chocolate Labrador and are involved in the local community. We’ve successfully rented another property for nearly a decade and are excited to offer this new house. We can provide tons of “local knowledge” to new visitors and are happy to recommend some of our favorite must do’s like a Cape Cod Baseball game, lunch at the Ho, dinner at the Brewster Fish House or a sunset ice cream and tractor ride on Sparky’s hayrides. 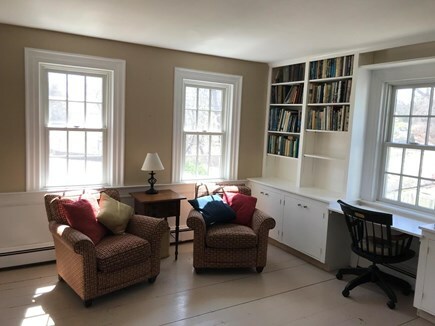 The Lower Cape has so much to offer and our home is a great jumping off point. 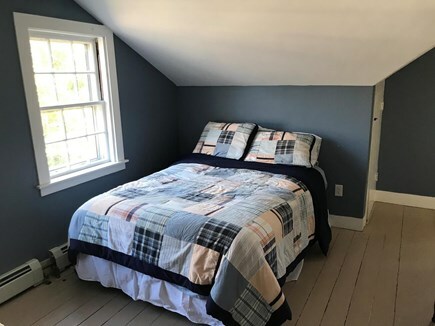 This house is convenient to Brewster, Orleans and Harwich. 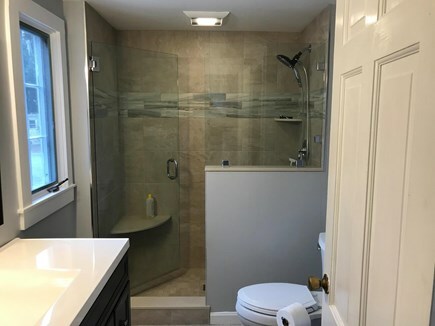 It has space for the family to spread out with the 3 bedrooms upstairs and the bonus room above the garage idea for another couple (and a young child on an aerobed) or the in-laws. 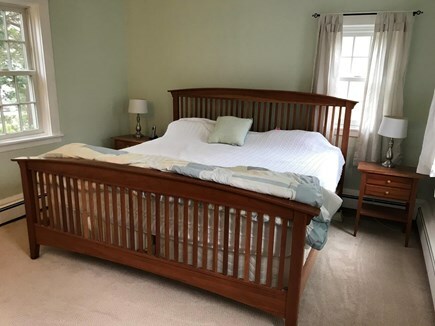 This house has been meticulously maintained since it was built 20 years ago and has many updates. This isn’t your grandma’s cottage. 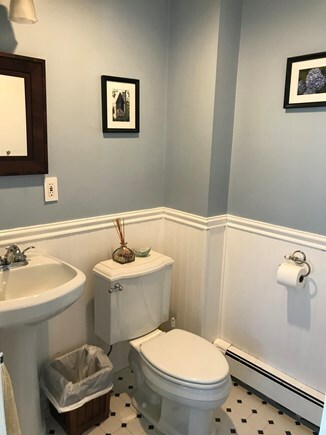 AC split units in the main space, wood floors throughout, updated bathrooms, quiet yard with mature plantings, first floor laundry and more makes this a modern rental. We love the ability to be in the kitchen while the kids are close by in the playroom, chatting with guests in the living room and the great flow this house provides. 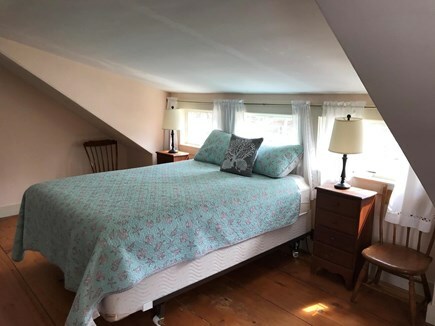 Brewster is the Sea Captain’s town known for beautiful beaches and historic 6a. Cape Cod Bay boasts calm and warmer water for young children to enjoy. 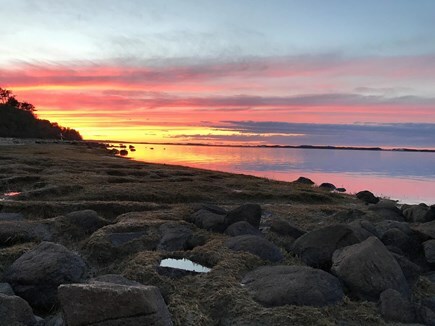 The famous Brewster Flats are ideal for walking, sand castle building, exploring tide pools or watching a sunset. Great restaurants, shops and beaches make Brewster a family friendly destination.